Daniel Muno was born February 9th, 1989 in Long Beach California. The five foot eleven, switch hitting infielder attended California State University at Fresno. In his Freshman year he hit .322 with 62 runs scored, helping lead Fresno State to a win in the 2008 College World Series. That year he was named All Western State. In his junior year he became the schools All Time walks leader, as well as batting .379 with 25 doubles & 74 runs scored. 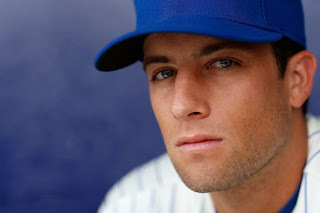 In 2010 he was drafted by the Chicago Cubs in the 26th round, but he did not sign. He played out his senior year & hit .348 with 52 RBIs in 56 games. 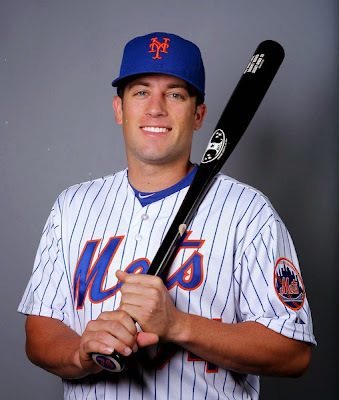 In 2011 he signed with the New York Mets, as an eighth round pick. In 2011 he played for the A Ball Brooklyn Cyclones & led the New York Penn. League in batting (.355) as well as on base % (.466%). Muno was noted the leagues 18th best prospect, made the All Star team & struck out just 39 times in 220 at bats while hitting 23 doubles. In 2012 he was promoted to A ball St. Lucie but tested positive for performance enhancing drugs. He returned in 2013 playing at AAA Binghamton where e hit just .249. In 2014 he was promoted to AAA Las Vegas where he hit a career high 14 HRs with 62 RBIs, batting .259. 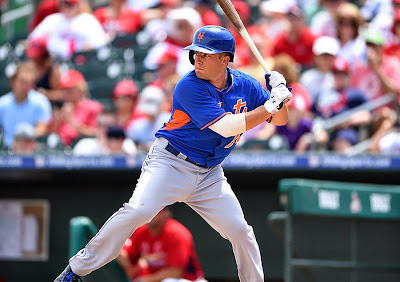 He is considered one of the best disciplined hitters in the Mets systems. In 2015 he was batting .280 in two stints at AAA Las Vegas as the Mets main third baseman there. On April 17th he was called up to the majors, making his MLB debut in a 4-1 win against the Miami Marlins. In that game he came to bat as a pinch hitter in the 7th inning, earning a single off Sam Dyson. In that game he also got his first career steal. On April 26th he got his first start, it came in a subway series loss to the AL New York team, where he went 0-3 playing in a designated hitter role. After that game he was sent back down to Vegas. On May 24th, the Mets recalled Muno from AAA Las Vegas sending down catcher Johnny Monell.